The next issue of Mark Millar’s ongoing Hit-Girl series continues next month with Hit-Girl #5, bringing the tiny killer to the wilds of Canada! Who better to bring the vigilante’s Candian antics to life than Eisner award winning writer Jeff Lemire (Black Hammer, Essex County)! Joining Lemire for Mindy’s Canadian journey is artist Eduardo Risso. 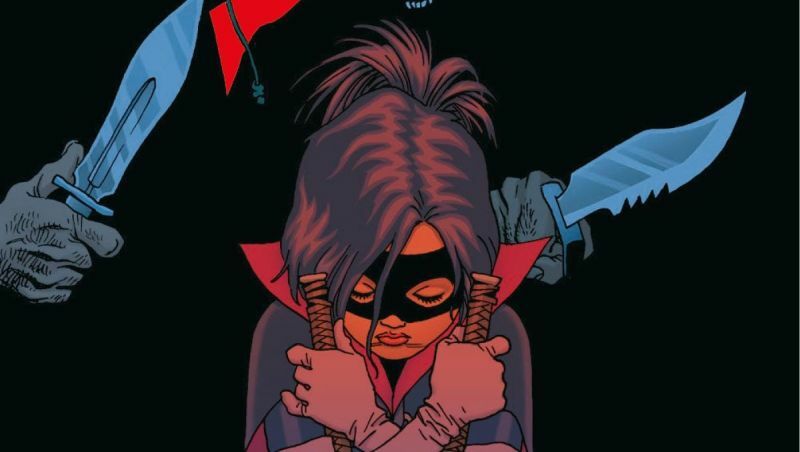 Mindy’s adventures in the Great White North will continue in July in Hit-Girl #6 and you can check out our exclusive preview of the series in the gallery below! Hit-Girl #6 arrives in stores on July 25 and is described as follows: HIT-GIRL’S IN CANADA.On the second stop of her crime-fighting world tour, Mindy is locked, loaded, and ready to seriously mess up some Canadians. 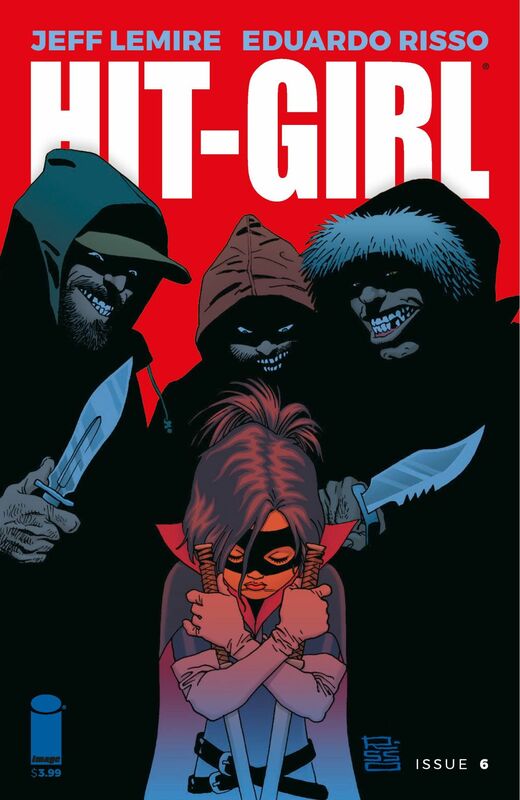 JEFF LEMIRE and EDUARDO RISSO take on MARK MILLAR’s psychotic, 12-year-old Hit-Girl as she unravels a drug trafficking operation in the frozen north—and leaves a trail of blood in her wake. Mindy’s Canadian adventure begins June 20 in Hit-Girl #5! Click Full Screen to see the entire image!